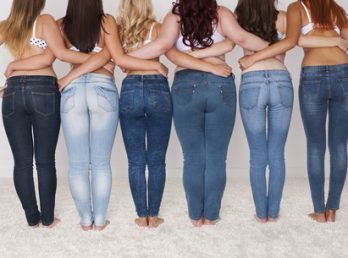 Does anybody really care about body diversity? Looking around, one would prove that the subject is way farther from anybody’s mind. Media, specifically the fashion and health types, would often publish articles on how men and women should look like. They would want people in the caliber of Victoria Secret models. Presently, it’s not going to happen to everyone. The all-too-perfect bodies for both males and females can only exist in the pages of magazines like Vogue, Men’s Health, Cosmopolitan, and more. It’s true that. We all want to be in great shape. But many people want to get fit just to look good. Yet there are so many other reasons to get fit other than just for aesthetic reasons. Because while there’s nothing wrong with wanting to get fit so you can feel good about your appearance, working out just for looks isn’t actually the best long-term motivation for working out and getting fit. Click here to see 9 reasons to get fit today: https://www.12minuteathlete.com/9-reasons-to-get-fit/. How Much Does a Denver Personal Trainer Cost? If given a choice, most people who exercise would love to have a personal fitness trainer. These professionals provide a range of services including individual personal training that that helps with fitness, advice on nutrition, and keeping you motivated. Plus, looking at celebrities who have personal fitness trainers, it appears that personal trainers do help you lose weight rapidly and effectively. But how much does a personal trainer cost? In general, the cost of a Denver personal fitness trainer varies. I like to make it SUPER easy to hit the gym at any time, which helps eliminate any excuses NOT to go. I always have a pair of sneakers and a workout outfit in my trunk at all times. Since I like to play tennis I keep my racquet and a few tennis balls back there too. Convenience is so important when you are trying to stick to a routine and be consistent!!!! Infographics provided. There is no longer any question that exercise is good for the body. 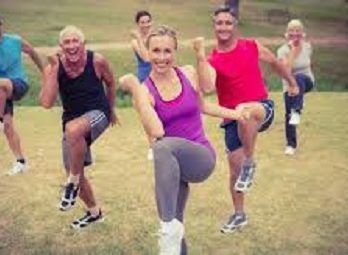 We know that consistent exercise can help you remain healthy, lose weight, reduce the concentration of blood glucose and cholesterol and help you remain agile and fit as you age. However, the many benefits of exercise are not only limited to the body but also the brain. Almost everyone who exercises regularly will say that they feel more confident and have improved self-esteem but even more importantly, the mental benefits of exercise.